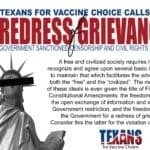 The world of vaccine safety was recently rocked by the announcement of a lawsuit brought by Robert F. Kennedy, Jr. against the Department of Health and Human Services for violating the Mandate for Safer Childhood Vaccines clause of the National Childhood Vaccine Injury Act of 1986. Continue to watch this page for more updates and shareable information regarding this unfolding lawsuit! The NCVIA removed all liability from vaccine manufacturers when their products injure or kill. 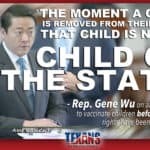 Realizing that removing consumer accountability would eliminate any motivation for manufacturers to ensure their products are as safe and effective as they can possibly be, the Mandate for Safer Childhood Vaccines clause was added to the the Act as a check-and-balance. 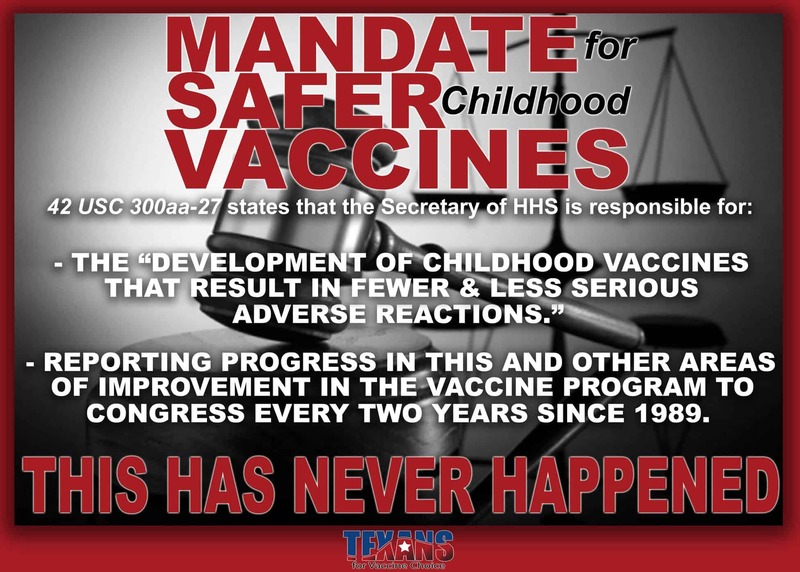 According to a breaking lawsuit, we now know that this clause – stating that the Secretary of Health and Human Services is responsible for improving vaccine safety, efficacy, constant monitoring and improving of adverse event reporting AND for reporting to Congress every two years on all improvements made in these areas – HAS BEEN COMPLETELY IGNORED SINCE 1989. The one safety net set up to protect American children from out of control, liability free pharmaceutical companies IS NOT BEING UTILIZED. Where are the consumer protections here? 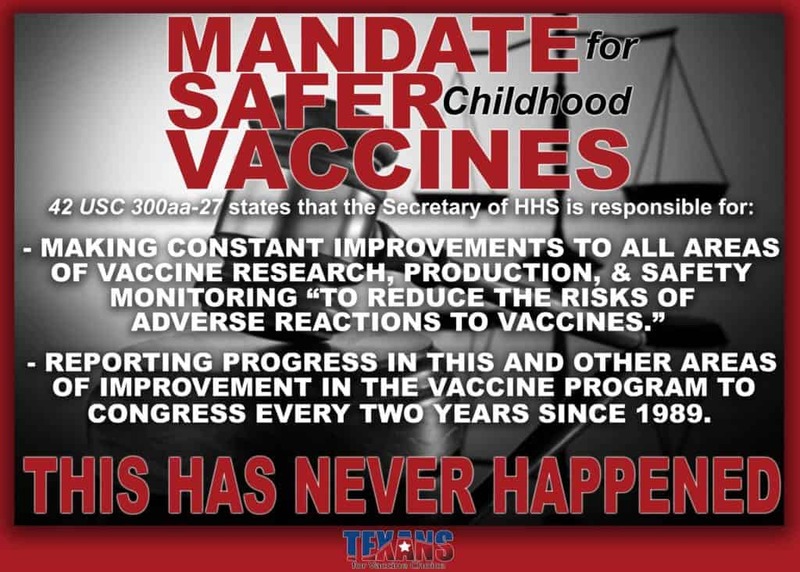 What other product is afforded complete litigious immunity while at the same time managing to “mandate” every child in the country use their product? 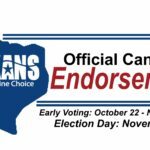 2018 Exemption Numbers Are In & the Fear Mongering Begins! It is clear to me the #BigGov has failed it’s people, miserably. May folks be reminded that each of us inherently already is a free sovereign being who doesn’t need an external government to run our lives and control every decision we make about our health and wellness. It’s time to dissolve our criminal governments who are actually indentured servants of Israel; corporations with monopolistic aspirations; and carry the belief that money and blood makes them into gods. 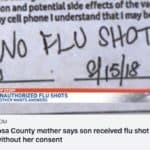 Finally something’s being done about this.. people can choose to get them or not, but when efficacy rates are less than 20% for several different kinds of vaccines and they don’t tell you, it’s essentially negligent homicide. Many of the ingredients your body cannot fully process and they get stored in different organs, especially the thyroid and pituitary glands. Considering these regulate hormones, no wonder so many people are affected by depression and ADHD.. just one of the many health concerns raised by vaccines. 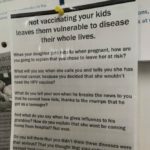 The biggest issue I personally have is forcing kids at public schools.. herd immunity should still apply to those who recieved the vaccine so why would it matter if your kid did or not? And are given at birth!!!! Thank God for JFK Jr. I pray the truth comes out about the terrible effects of vaccine and those responsible are held accountable. When I met RFK Jr a couple of years ago at one of his talks, I told him “You are like the Moses of this generation” and I explained to him that the Biblical Moses actually had a speech impediment, just like he does, and yet, look at all he accomplished! I still believe this about RFK Jr. He is an unstoppable hero who we need to pray for every day as he is on the front lines against big polluters and out of control industries, protecting our health.